If you are doing Workouts without Weights it means you are probably doing it without equipment. Now you could be using resistance bands (check out my article on that - here) or a stability ball, or even a bullworker (not my recommendation - why, check this out). But the chances are - and what I WOULD RECOMMEND - is that you are using body weight or self resistance. This means YOU are the equipment you'll ever need. Workouts without Weights mean that you can train any-time, anywhere. This alone is perhaps the most important aspect of bodyweight or self resistance training - most definitely of isometrics. A MAJOR reason people FAIL to get in great shape is because of time. They don't have time to go to the gym. They don't have time to select the weights, the don't have time to set up their home gym - and by that I mean take the laundry and clothes hanging on it and I mean, after all that's what most workout equipment is you know - an expensive clothes hanger. With weight free workouts that is no longer a valid excuse. It doesn't matter where you are. It doesn't matter what you are wearing you can still do a fast effective and fun workout. I literally fall out of bed into an isometric pushup. I do a full workout in the shower (and I have a very small, tight shower cubicle). Actually, let me come back to that first one - I can do the majority of my muscle building workouts IN BED. I don't need to even get up out of bed and I can still train the majority of my muscles, and do as harder than most gym enthusiasts. I knock out sets of exercise in between patients in my medical pratice. Now I'm VERY RESULTS FOCUSED - that means I don't waste time ion anything that doesn't produce incredible results. That's my focus in my medical practice, my martial arts and my training. If it doesn't produce results and in terms of my workouts that means I want to look great, feel great, be great and have near superhuman strength. A 5-15% increase in strength with a single 7 second stimulation once a week. 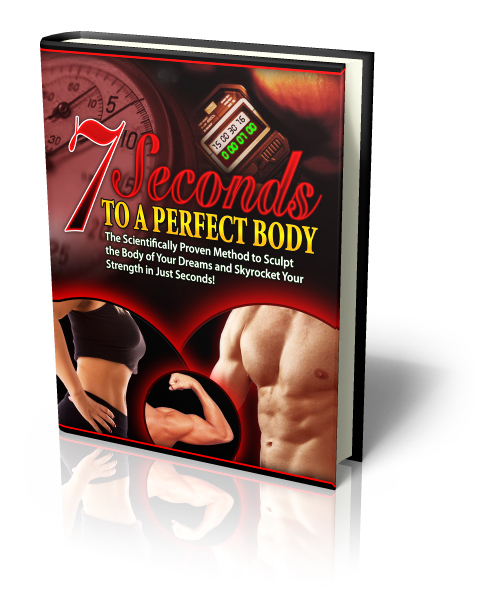 A daily 7 second contraction increases strength by 72% in 46 weeks. Lifting weights simply doesn't compare. It doesn't even come close. Lifting weights is dangerous. It's why hotels rarely have a free weights section. Insurance sky rockets. Obviously heavy free weights present a RISK. They can be dropped, flung around and used inappropriately. Poor form leads to serious injuries, rotator cuff blow outs, hernia's, spinal problems, joint damage and more. However - weight training also has other hidden and less obvious dangers and damage. Aside from busted up weight lifters syndrome - something I see in my clinic nearly every week. Workouts without Weights can also bust up your heart. I cover this in great detail - here - but briefly, lifting weights cause a flow back in blood which in turn damages the heart. It's one of the contributing factors for heart attacks being such a common cause of death in young body-builders. Seriously - it is. My Workouts without Weights make me feel like a superhero. Every Isometric exercise I teach looks like you're the inspirational model for a Greek God statue. Each rapid contraction makes you feel like the HULK. Each body part workout leaves you feeling like you could bounce bullets off your chest, lift a horse and perform feats that would astonish and amaze. If you really want to release your full potential, enjoy the natural buzz exercise brings and learn the most effective workouts without weights then you should consider training with my Perfect Body method - it's the most comprehensive Isometric Training Program available.